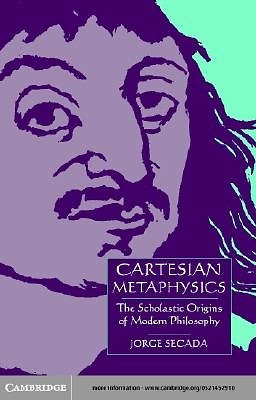 This is the first book-length study of Descartes's metaphysics to place it in its immediate historical context, the Late Scholastic philosophy of thinkers such as Su·rez against which Descartes reacted. Jorge Secada views Cartesian philosophy as an 'essentialist' reply to the 'existentialism' of the School, and his discussion includes careful analyses and original interpretations of such central Cartesian themes as the role of scepticism, intentionality and the doctrine of the material falsity of ideas, universals and the relation between sense and understanding, causation and the proofs of the existence of God, the theory of substance, and the dualism of mind and matter. His study offers a picture of Descartes's metaphysics that is both novel and philosophically illuminating.